The International Day of Older Persons (IDOP) is observed every year on October 1 to raise awareness about issues affecting elderly and to appreciate contributions that older people make to society. The theme for this year is “Celebrating Older Human Rights Champions”. The International Day of Older Persons was instituted by United Nations General Assembly (UNGA) by adopting resolution 45/106 in December 1990. 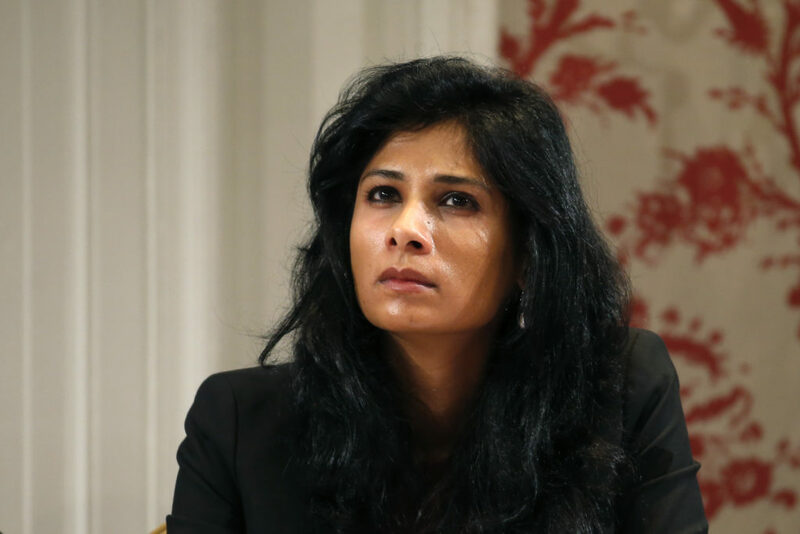 India-born economist Gita Gopinath was appointed Chief Economist of International Monetary Fund (IMF). She will take over as IMF chief economist after Maurice Obstfeld retires in December 2018. It makes her second Indian after former RBI governor Raghuram Rajan to hold the position. She is currently Economic Adviser to Chief Minister of Kerala and also had served on advisory panel for G-20 issues for India’s Ministry of Finance. She was also chosen as Young Global Leader by World Economic Forum (WEF) in 2011. The World Habitat Day was observed every year on first Monday in October all over the world with an aim to remind world of its collective responsibility for habitat of future generations. This year with the theme “Municipal solid waste management” it aims to highlight issue of solid waste management as global issue that affects everyone. The day was established by UNGA through Resolution 40/202 in 1985 and was first celebrated in 1986.
International Status Report 2018 released by Canadian Cancer Society ranked India 5th among 206 countries in Cigarette Package Health Warnings while Timor-Leste topped the list. The ranking of the countries was in terms of largest pictorial warning on cigarette packs. In India, 85% of both sides of cigarette packets are covered with warnings. Canada was first country to make picture health warnings mandatory in 2001. The report has found that 118 countries worldwide have made pictorial warnings mandatory. Ministry of Petroleum & Natural Gas has launched Sustainable Alternative Towards Affordable Transportation (SATAT) aimed at providing sustainable alternative towards affordable transportation. The initiative was launched with PSU Oil Marketing Companies (OMCs i.e. IOC, BPCL and HPCL). It will benefit vehicle-users as well as farmers and entrepreneurs. Bombay Stock Exchange (BSE) became first stock exchange in the country to launch commodity derivative contracts. It has launched contracts in popular commodities like gold (1kg) and silver (30kg). This launch comes after unified exchange regime kicked off from 1 October 2018. It will help efficient price discovery, reduce timelines and make it cost effective. BSE is the oldest stock exchange in Asia formed in 1875 in Mumbai. It is 10th largest stock market in the world by market capitalization at $1.7 trillion and has more than 5,000 companies listed in it. The International Day of Non-Violence was observed across the world on October 2, 2018, on the occasion of the birth anniversary of Mahatma Gandhi. The principle of non-violence, which is also known as non-violent resistance, rejects the use of physical violence in order to achieve social or political change. On 15 June 2007 the United Nations General Assembly established 2 October as the International Day of Non-Violence. The Union Government on October 2, 2018 launched the Mahatma Gandhi’s 150th birth year celebrations, marking the beginning of the final year of the Swachh Bharat Mission (SBM). The Swachh Bharat Mission will culminate on October 2, 2019. Since the inception of the program, the rural sanitation coverage of India increased significantly, from 39 percent in October 2014 to over 90 percent, as of September 2018. Over 78 million household toilets have been constructed under the Mission. As a result, 25 States/Union Territories, over 513 districts, and 504316 villages have declared themselves as free from open defecation. 2. When was The World Habitat Day celebrated for the first time? 3. Who was the first Indian to be appointed as Chief Economist of International Monetary Fund (IMF)? 4. How many countries till now have made pictorial warnings mandatory according to International Status Report 2018 released by Canadian Cancer Society? 5. How many countries did International Status Report 2018 released by Canadian Cancer Society rank? 6. Who launched Sustainable Alternative Towards Affordable Transportation (SATAT)? 7. Bombay Stock Exchange (BSE) is the ___ largest stock market in the world? 8. When is The International Day of Non-Violence observed across the world? 9. When did the UNGA establish The International Day of Non-Violence? 10. What was the percent of rural sanitation coverage in India in 2014?